Due to popular demand we have added another Ornament Workshop for December 2nd,2017! 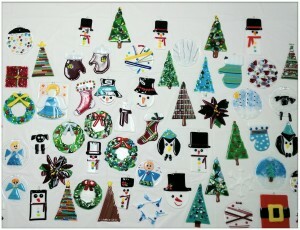 If you have glass tools ( cutter, groziers, runners. safety glasses) bring them. If you don’t have tools we will supply them. No glass cutting experience necessary. 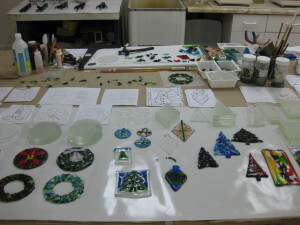 Register to reserve your spot- Breslau Art Glass 519-648-2661 or email at breslauartglass@bellnet.ca. Bring a friend. Children 9 yr and up are welcome when accompanied by their adult. 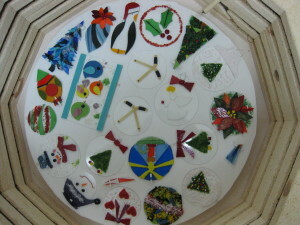 Ornaments must be kiln fired. They will be ready for pick up within the week. 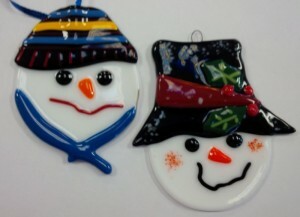 This is a fun way to try your hand at glass fusing.